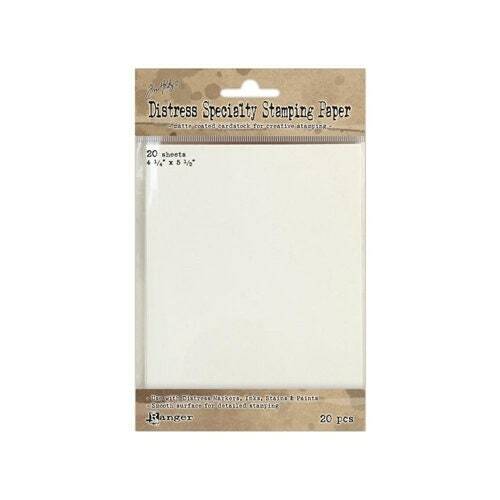 Tim Holtz Distress Specialty Stamping paper from Ranger Ink is an ideal surface to use with Distress Inks, Stains, Markers and Paint (sold separately). This unique, matte coated paper holds up well to a variety of light, water-based techniques and offers a smooth surface for blending and coloring. Each sheet is pre-cut to 4 1/4" x 5 1/2", perfect for card making projects and mixed media. Each package includes 20 specialty stamp paper sheets.